Celebrity ReflectionSM is the newest marvel offering three new suites, including 34 new AquaClass® Suites that feature stunning 79-square-foot verandas, so you can relax like never before. Plus, your favorite spa amenities and priority access to the highly-rated specialty restaurant, Blu, are included. There are even more inspired additions to this ship. 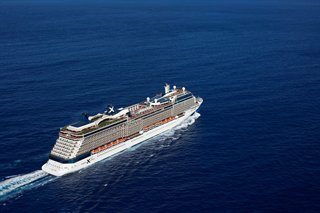 Celebrity Reflection boasts an expanded deck, 72 additional staterooms overall, more seating in the main and specialty restaurants, more sun lounges on the pool deck, and more seats in the theatre. Excitement brews with up to 50 international craft beers in the enhanced Michael's Club. Take a painting class with a Master Artist from the ArtCenter South Florida in The Art Studio. Celebrate the flavorful joys of outdoor grilling in the new Lawn Club Grill. Unwind in your own cabana-style haven, The Alcoves, on the Lawn Club. Your vacation time is precious. Time aboard Celebrity Reflection will make the most of it. Cartagena is full of history and charm. At La Popa Monastery, you will have a panoramic view of the city and harbor. Enjoy the artisan center of Las Bovedas (The Dungeons), Plaza Bolivar, the Palace of Inquisition and the Church of San Pedro Claver, and shop for Colombian emeralds - the finest in the world. There’s more to Panama than the canal. Panama’s ethnic mix is reflected in its arts. This is a proud nation that honors its many Indian tribes and its rich Spanish legacy. And with some of the finest deep-sea fishing, snorkeling and birding, once you embrace Panama, you’ll find it hard to leave. Puerto Límon, on a palm-fringed shore backed by mountains, is the country's most important port. It was built on the site of an ancient Indian village, Cariari, where Columbus landed on his fourth and last voyage. Though he felt this was potentially a very rich land and named it Costa Rica, it never quite lived up to his expectations. However the spot where he anchored has proved to be the best port of the Caribbean coast. It was from here that the first shipments of bananas headed to North America in the late 19th century. Coxen Hole (also called Roatan) is the capital of the Bay Islands that lie 30 miles off the Caribbean coast of Honduras, an archipelago patchwork that is the remains of an ancient submerged volcanic mountain range. It is located on the largest island, lush Roatan and offers a friendly and laid-back setting. Here you can enjoy the superb beach at West Bay, 'Dolphin Encounters' at Anthony's Key Resort and snorkelling and diving amid the Western Hemisphere's most spectacular underwater reefs. You can also take an excursion to visit Tikal, the ceremonial centre of the ancient Maya civilization, lying in a tropical rainforest 19 miles north of Lake Petén Itzá in Guatemala. The underwater environment is rich and extensive; reefs surround the islands, often within swimming distance of the shore. Caves and caverns are a common feature, with a wide variety of sponge and the best collection of pillar coral in the Caribbean. Built around the enigmatic culture of the ancient Maya, and the rich jungles of the yucatan peninsula, travelers enjoy sapphire blue seas, emerald green jungles, and a gamut of experiences ranging from diving shipwrecks in Chinchorro Banks, to shopping, to floating down calm rivers at the helm of their own kayaking Costa Maya. Explore newly unearthed ruins, ancient masks of Kohunlich, Fort San Felipe, multi-colored lagoons, and a treasure of wildlife and culture. It's all available for you in Costa Maya. Enter a fabulous world. Explore, discover, experience places and people few have ever known. Rates are cruise only, per person, based on double occupancy. Taxes, Fees and Port Expenses of $146.95 additional for all guests. Rates are subject to availability and may change without notice. Restrictions may apply.